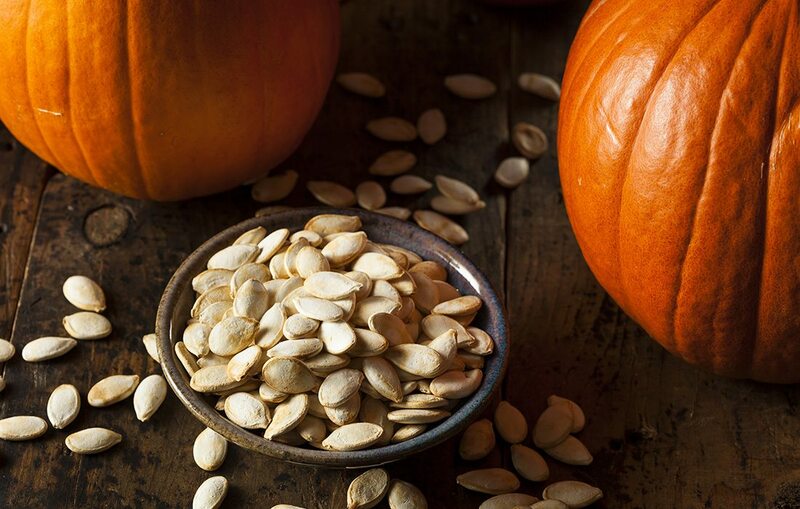 A quick-and-easy recipe for enjoying all of those seeds you pulled out of your pumpkin. Recipe adapted from The Food Network. Preheat oven to 425°F. Remove the stringy pulp and seeds from the pumpkin, placing them in a bowl. Separate all of the seeds from the pulp, rinsing the seeds under cold water until clean. Discard the pulp. Make sure not to blot the seeds with paper towels, as they will stick. Line a baking sheet with parchment paper. Place the seeds on the sheet in a single layer, allowing them to dry for about 10 minutes. Once dry, toss the seeds with olive oil, cinnamon and sugar. Place them back on the sheet in a single layer. Roast seeds in preheated oven for eight to 10 minutes. Snack away!